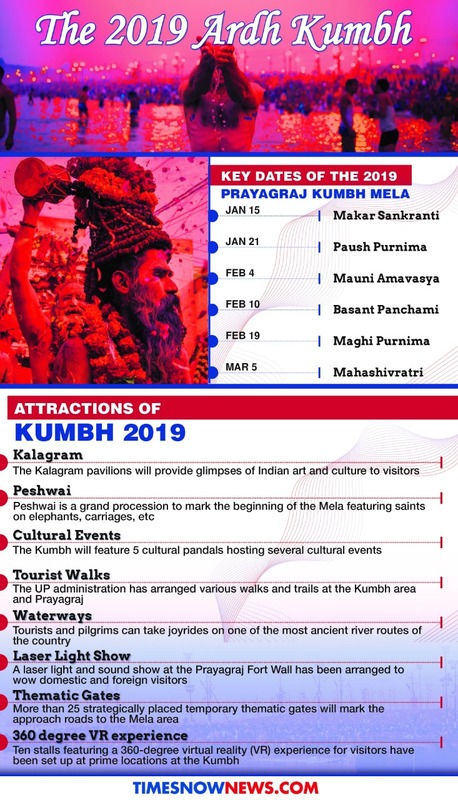 Prayagraj: The much-anticipated Kumbh Mela 2019 at Prayagraj (erstwhile Allahabad) commenced on January 15 and will go on till March 4. Hindu devotees from across the world have congregated at the confluence of the Ganges and Yamuna to take the holy dip. The Kumbh Mela is held every six years, while the Maha Kumbh takes place every 12 years. This time around, the Yogi Adityanath-led Uttar Pradesh government has left no stone unturned in ensuring that the Mela, that attracts lakhs of devotees from across the country and the globe, is equipped with modern facilities and security measures.